After Honor 9 Lite debut in the Chinese and Indian marks, it has reached the Western European market weeks. The new Honor smartphone will go on sale in Germany, Italy, Spain, France, and the United Kingdom with a price tag of EUR 229. 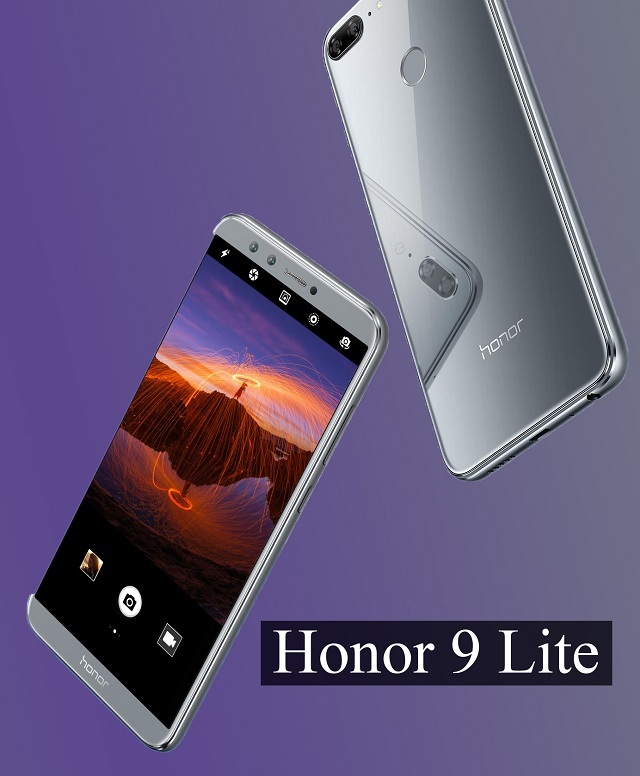 The dual Nano SIM option on Honor 9 Lite and it is run under Android 8.0 Oreo-based EMUI 8.0 and features a 5.65-inch full-HD+ 1080p x 2160p IPS display with 18:9 aspect ratios. Under the processor, the device has an octa-core 2.36GHz Huawei HiSilicon Kirin 659 SoC. This device is available in two different options in China and India with 3GB of RAM and 32GB of internal storage as well as 4GB of RAM and 64GB internal storage. On the other choice, Honor comes in Europe in the 3GB of RAM configuration. Huawei brand Honor is pushing Honor 9 Lite as one of its “best-in-class” smartphones. For storage sector, the Honor 9 Lite’s European market comes with 32GB internal storage onboard that is expandable via microSD card up to 256GB in a hybrid dual-SIM option. Honor 9 Lite has dual camera setup on both the rear and the back camera. Both dual camera setups have a 13MP primary camera sensor and a 2MP secondary camera sensor. Also, the rear camera is accompanied by LED flash and PDAF autofocus lens. The device has 4G VoLTE, Bluetooth, Wi-Fi 802.11 b/g/n, GPS/ A-GPS, Micro-USB with OTG support, and a 3.5mm headphone jack. The smartphone has an accelerometer, ambient light, digital compass, and proximity sensor. The device packs a 3000mAh power battery that is touted to deliver up to 24 days of standby time on a single charge. It will go on sale through HiHonor.com.